It’s that time of year again when we all resolve to clean out our systems and start fresh! Food is such an amazing resource for our healing, vitality, and joy. By incorporating foods that provide not only delicious flavors but also health benefits you experience a deeper source of nourishment that’s often missing in our Standard American Diet… How S.A.D. Fortunately, I am dedicated to creating and sharing recipes that support your health and fitness goals, nourish your soul and body, and are mouthwateringly delicious! 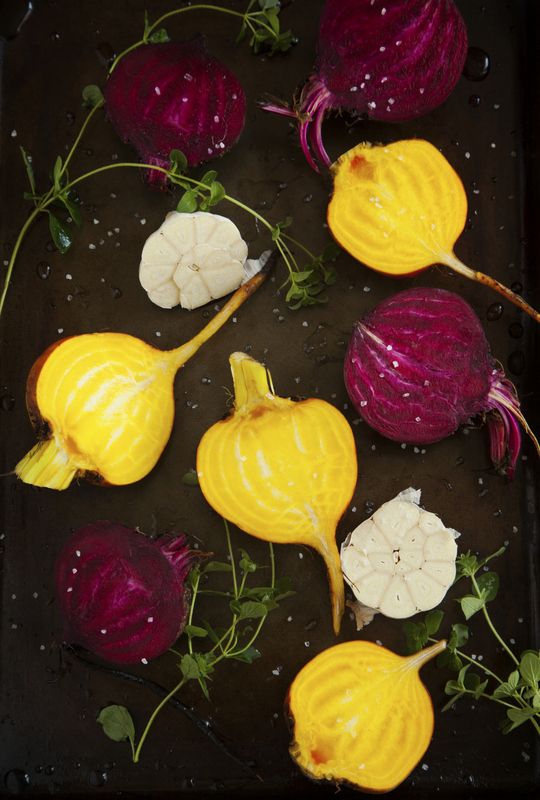 This Roasted Beet and Fennel Salad has been a long time favorite of mine. It’s a perfect salad for the winter and can be paired with any protein for a more complete meal. Beets: Beets are a high-antioxidant and phytonutrient rich root vegetable that tones the liver, purifies the blood and cleans out toxins to keep both the liver and gall bladder running smoothly. Fennel: Fennel has a strong anti-oxidant and phytonutrient base making it a powerhouse among healing foods, but its most intriguing phytonutrient is called anethole. This compound has been repeatedly shown to reduce inflammation and prevent liver cancer. It works by shutting down an intercellular signaling system called tumor necrosis factor (or TNF)-mediated signaling. 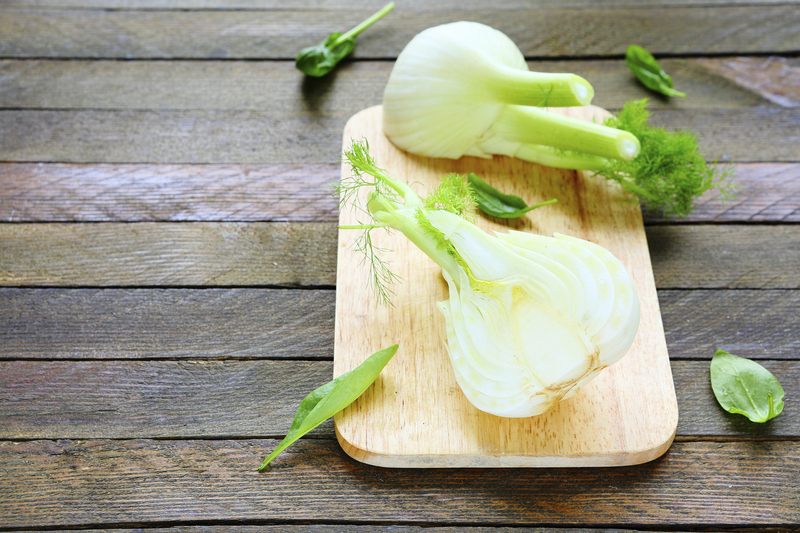 By shutting down this signaling process, the anethole in fennel prevents activation of a potentially strong gene-altering and inflammation-triggering molecule! Olive Oil: Cold-pressed organic oils such as olive, hemp and flaxseed aid the cleansing process by providing a lipid base that can soak up harmful toxins in the body and ease the burden on the liver. Greens: One of our most powerful allies in cleansing the liver includes leafy greens. They are extremely high in plant chlorophylls that sponge up environmental toxins from the blood stream. They have the incredible ability to neutralize damage from heavy metals, chemicals and pesticides, proving to be a powerful protective mechanism for the liver. Walnuts: Walnuts are high in amino acids that aid the liver in detoxifying ammonia, as well as glutathione and omega-3 fatty acids, which support normal liver cleansing actions. Citrus: Citrus fruits contain very high amounts of vitamin C, which aids the body in synthesizing toxic materials into substances that can be absorbed by water. Just think of all the detoxifying benefits you’ll get in one meal. Wear dish gloves or latex gloves to work with the beets so you don’t stain your hands. Rinse off any external dirt. Use a potato peeler & remove the outer skin from the beets. Slice into wedges, toss with olive oil and spread out on a roasting pan or large glass baking dish. Roast for ~10 minutes then toss. Finish roasting until fork tender, about another 10-15minutes. While they roast, begin to prepare the salad by trimming the outer tough leaves from the fennel bulb. Remove and discard the stems. Cut fennel bulb in half lengthwise & discard the core. Slice remaining sections into thin slices. Slice endive; discard the base and core. Mix the dressing then drizzle over the salad.